The U.S. small-business community needs a leader. A replacement for Karen Mills, who will bow out as the chief of the U.S. Small Business Administration at the end of next month, has not yet been named. While Mills initially said she would remain on until President Barack Obama tapped a successor, she has since changed her tune. Mills made a surprise announcement last week that she will depart Washington, D.C., and head to Harvard University in the fall. The leader of the SBA is responsible for championing the needs of the small-business community at the federal level. Mill's replacement will have some big shoes to fill. She was largely credited with giving the SBA a face lift in her tenure. In January of 2012, Obama elevated the Administrator of the SBA to a Cabinet-level position, a nod to the importance of small business in the economic recovery. Here is a look at three potential candidates. Judy Canales, State Executive Director for U.S. Department of Agriculture’s Farm Service Agency in Texas. 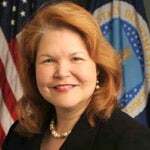 Before moving to Texas this summer to head up the Texas Farm Service Agency, Judy Canales served as the Administrator for Rural Business Development and Cooperative Programs in the U.S. Department of Agriculture. In her role in Washington, D.C., Canales was in charge of managing rural lending programs for small businesses. Bob Coleman, the editor of the small-business lending industry newsletter The Coleman Report, says that his public-sector pick would be Canales because she did a "great job" running those targeted financing programs. Before her stint in Washington, Canales served as the executive director of the Maverick County Development Corporation in Texas and was an adjunct faculty member for Southwest Texas Junior College for seven years. Earlier in her career, Canales was appointed by President Bill Clinton to be the deputy state director for Texas Rural Development. Kurt Chilcott, President and CEO of Small Business Finance. At the helm of the San Diego-based community development corporation, Small Business Finance, Kurt Chilcott works to help small-business owners get access to capital, especially through government-backed loan programs. The loan-consultancy group helps small businesses in California, Arizona and Nevada secure commercial loans, primarily through the SBA's 504 lending program. The 504 lending program provides financing for equipment, real estate and other assets. Chilcott was Coleman private-sector pick for the next SBA chief. Coleman calls Chilcott a "great advocate of micro-lending to small business." 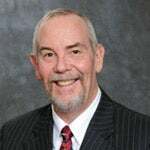 In addition to his work in San Diego, Chilcott is on the board of the National Association of Government Guaranteed Lenders and serves on Bank of America's National Community Advisory Council. Four years ago, Chilcott was on the U.S. Treasury's Small Business Financing Forum, where he made recommendations to the Obama administration on how to improve the flow of capital to Main Street during the credit crunch. Don Graves, Executive Director of the President’s Council on Jobs and Competitiveness at the White House. 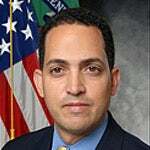 Graves is currently serving as executive director of the President's Council on Jobs and Competitiveness at the White House, where he advises Obama on how to generate jobs. Beth Solomon, the president and CEO of the National Association of Development Companies, a trade association for SBA 504 lenders, hopes to see White House staffer Don Graves tapped to lead the SBA. Solomon says that Graves "has carried the torch at the highest levels in the administration for small business." Also, Solomon respects Graves's character and ability to negotiate D.C. politics. "At this time, having someone who can hit the ground running and go from 0 to 80 in a few seconds is critical," Solomon says. "We need an SBA administrator who can put the pedal to the metal on fueling job creation and the economy on day one. Don is one of a very few people who can do that."